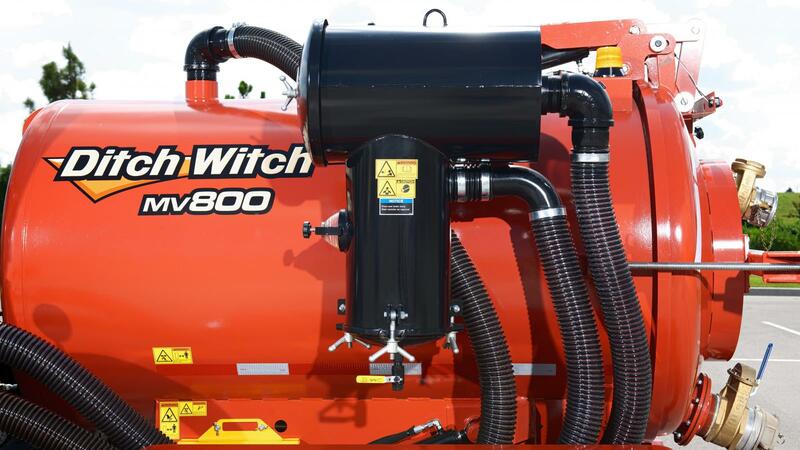 The punishing conditions of HDD jobsites demand a mud vac you can count on job after job—a perfect description for the new, ruggedly built Ditch Witch MV800. 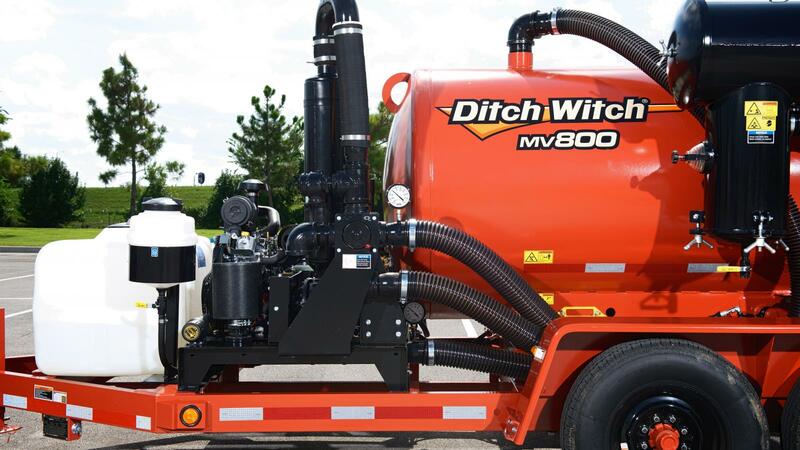 Featuring the heavy-duty, field-proven components that keep all Ditch Witch vacs performing strong year after year, the competitively priced and easy-to-operate MV800 offers a dependable Vanguard™ engine, reusable filter and many other cost-efficient, customer-requested features that together translate into the benefit you need most: greater uptime. Commercial-grade, 31-hp (23.1-kW) Vanguard™ gas engine features an electric start and high-capacity remote air intake filter. 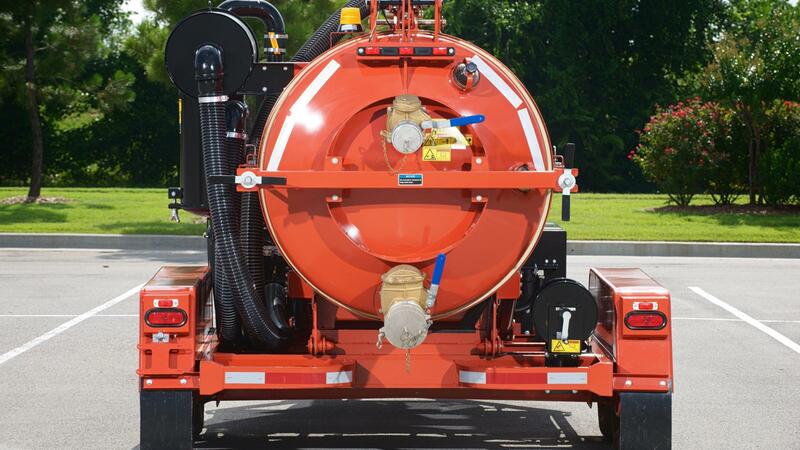 14,000-lb (6350-kg) GVWR trailer is FMVSS-compliant, complete with high-visibility marking and impact guard. Standard safety features include strobe light, belt guards and mechanical locks on all lift cylinders. 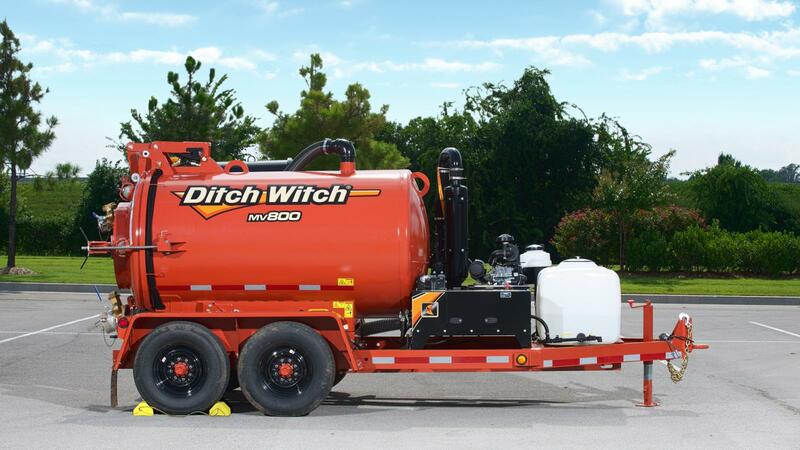 800-gallon (3028-L) spoils tank designed for HDD drilling fluid cleanup jobs. 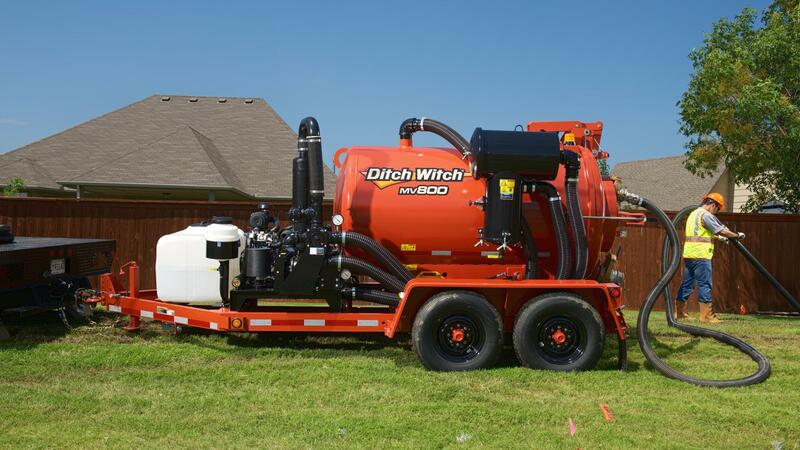 Optional reverse flow simplifies spoils removal and improves productivity. 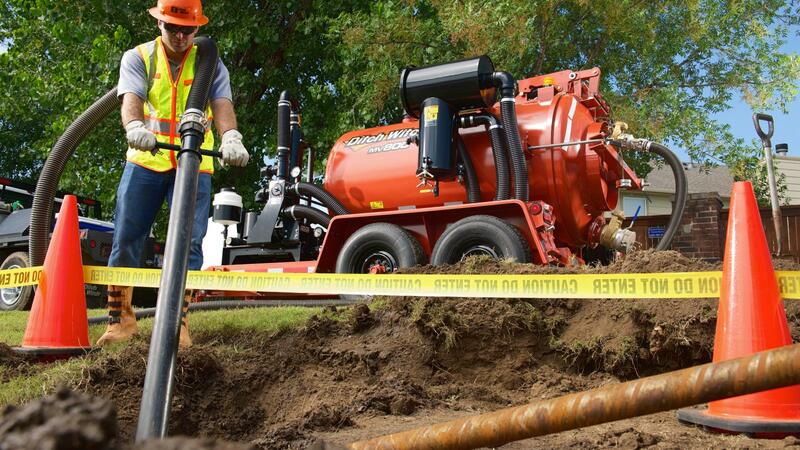 Optional 100-gallon (379-L) high-pressure water tank with 3,000-psi (207-bar) pressure for soft excavation tasks such as potholing utilities. Filtration system includes an integrated carryover chamber that eliminates contaminants before they reach the blower, increasing uptime. DC power pack with thermal switch provides protection in overload conditions. 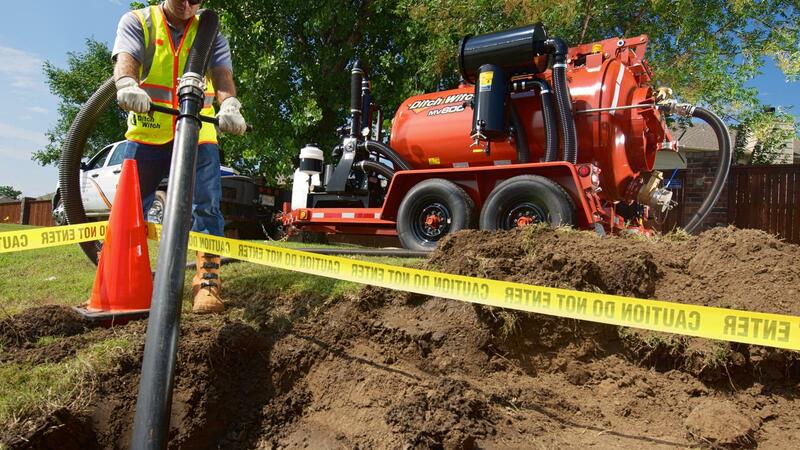 Standard curbside controls promote jobsite safety and allow one-person control of all unit functions. Optional hydraulic opening door is designed for easy spoils removal and maintenance. 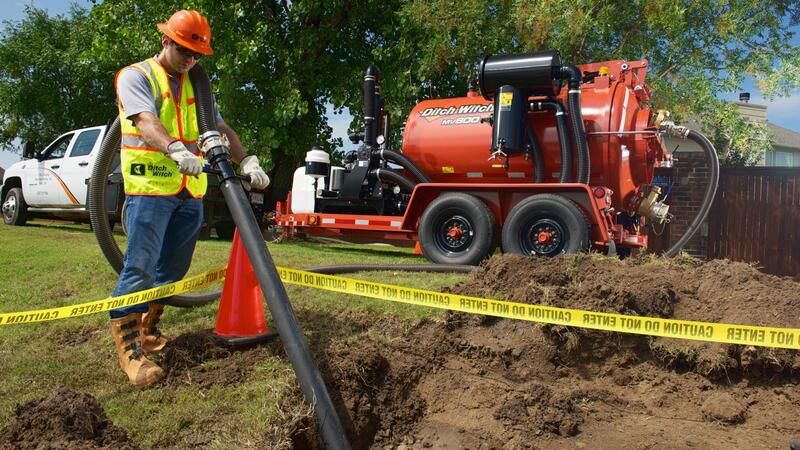 Long-lasting, low-cost vacuum excavator that is ideal for HDD cleanup tasks. 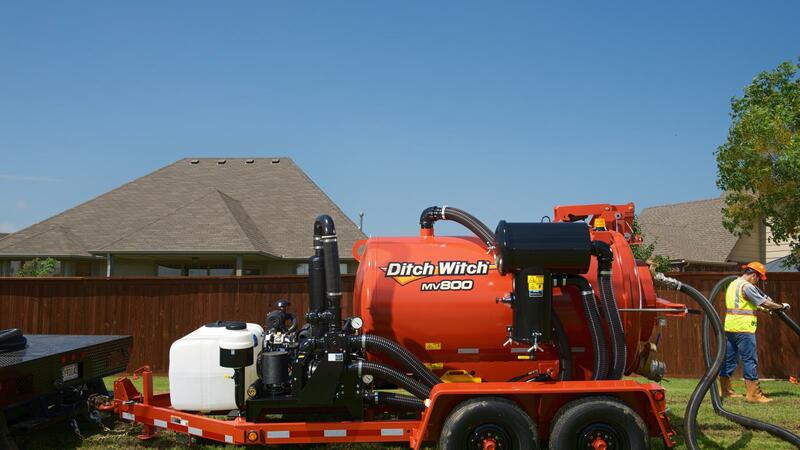 Same field-tested, heavy-duty components as other Ditch Witch vacuum excavators, for reliable performance in rugged jobsite conditions.